We know how special your dogs are to you and when you need to leave them you need to know they will be cared for and well looked after. here at storwood kennels we can offer just that. Storwood kennels is a small family run business we live on site so are near to hand to ensure the dogs are safe and secure. we give each dog the care and attention they require, lots of playtime and most important lots of cuddles, to ensure they get plenty of human contact. we want your dog to enjoy its experience in kennels as its their holiday too. 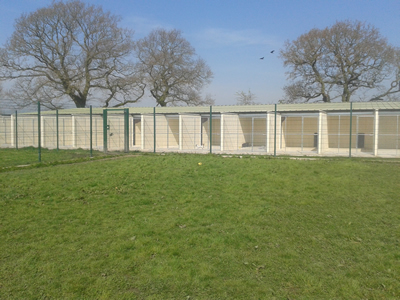 Our purpose built, heated boarding kennels are set in 11 acres of paddock and provide individual rooms with both open and covered runs. Each room has comfy beds, cosy bedding and music until bedtime, a home from home for your cherished pets. all kennels are heated we have underfloor heating and radiator heating. Each dog, or family,enjoys two walks daily and also off lead play and socialising in our two fully enclosed outside compound areas. There is a choice of boarding kennel, ranging from extra large, for families, large individual rooms, designed for comfortable and relaxing conditions or more secluded rooms for shy or nervous dogs. Every room is particularly spacious, to ensure that your dog has every opportunity to stretch out and relax. There is plenty of natural light flowing into the kennels. 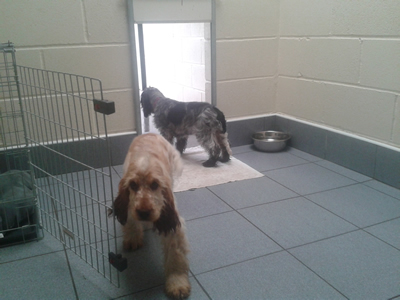 we have a strict daily cleaning regime to ensure the kennels are kept clean and fresh at all times. thus also ensuring your dogs are kept in a clean environment, eliminating harmful bacteria's. We have 26 kennels in total, so we are not over crowded. All kennels have their own individual outside runs that are half covered half open. We accommodate any medical requirements your dog needs and can administer medications if required. we are upto date with electrical test reports and Portable appliance testing. Day care is also available. If your dog has never been in kennels before we can offer a taster night to get them used to the kennel environment. Call to view any time and we will be happy to show you and your pet around. 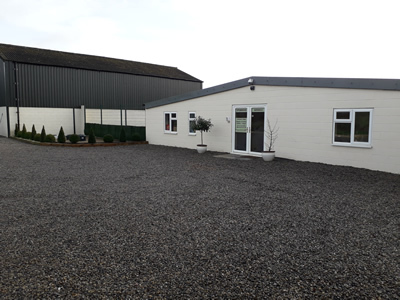 Situated on the B1228, close to the A64, 11 miles from the centre of York and 7 miles from Pocklington, between Elvington and Melbourne, we are in the ideal country location to provide superior quality boarding facilities for your pets. A caring holiday home for cared for dogs.